Central Connecticut State University historian Dr. Dann Broyld will discuss the work of leading 19th century abolitionists in achieving freedom from slavery in the United States and the impact of their legacy on the contemporary struggle for black liberation in a lecture at 6 p.m. on Tuesday, Feb. 5, at Western Connecticut State University. Broyld’s talk titled “Douglass, Tubman and Brown: Recasting Their Fight for Black Liberation in the American-Canadian Transnational Light,” sponsored by the Department of History and Non-Western Cultures and the Office of Diversity and Equity, will be presented as part of Black Heritage-History Month at WCSU. The lecture will be in Room 127 of White Hall on the university’s Midtown campus, 181 White St. in Danbury. Admission will be free and the public is invited. Broyld, who has served since 2014 as assistant professor of Public History and African American History at CCSU, will explore the contributions of Frederick Douglass, Harriet Tubman and John Brown to the eventual abolition of slavery and emancipation of slaves in the United States. He also will place Douglass, Tubman and Brown within the broader context of the continued movement to achieve black liberation. 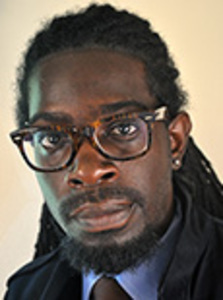 Broyld earned his Ph.D. in 19th Century U.S. and Afirican Diaspora History at Howard University in 2011, completing his dissertation titled “Borderland Blacks: Rochester, New York, and St. Catharines, Ontario, 1850-1860.” He has served as a consulting scholar for the Harriet Tubman Underground Railroad National Monument and as a member of the Frederick Douglass National Historic Site Board of Trustees. His scholarly work focuses on issues of black identity, migration and transnational relations as well as oral history and museum-community interaction. He previously taught at the University of Pittsburgh at Johnstown and is working on a manuscript with the University of Toronto Press. Broyld’s talk is the first of several Black Heritage-History events planned this month at WCSU. Additional events can be found at www.wcsu.edu/intercultural/spring-2019-events-calendar/february/.